Buy your Fiddler on the Roof in New York tickets online, before you go to New York. This performance is in Yiddish, with English supertitles. 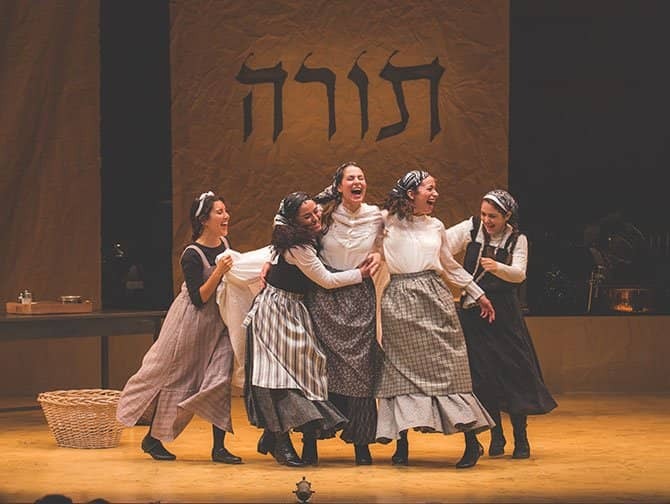 The musical is based on 1894 novel; ‘Tevye and his daughters’, written by Russian-Jewish author, Sholem Aleichem. 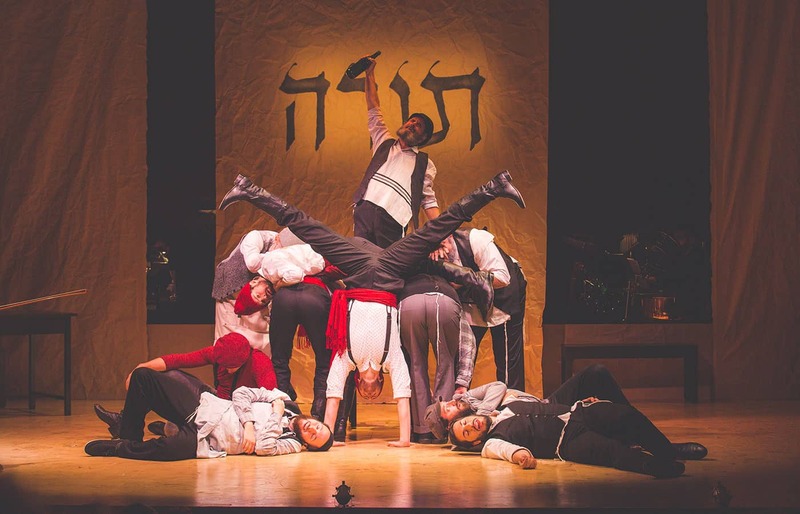 The musical has been performed on Broadway six times, and can now be seen off-Broadway in a new Yiddish-language production. The first performance in 1964 won nine Tony Awards. In 1971 the story was adapted and made into a film. Even if you’ve never seen the show before, some of the songs may ring a bell. ‘If I Were A Rich Man’, ‘Sunrise, Sunset’ and ‘Matchmaker’ are all classics from this musical. 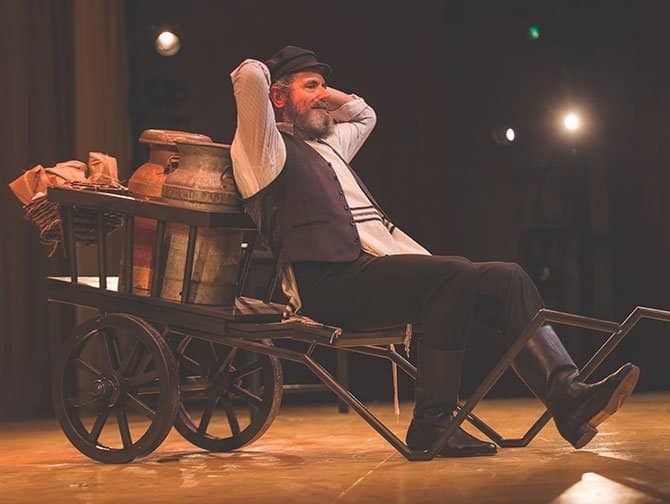 Fiddler on the Roof is about Tevye; a Jewish milkman who lives in a remote Russian village with his wife and five daughters in the early twentieth century. As things go, in a community like this, Tevye wants to marry off his daughters. However, the three oldest are particularly stubborn, and one after the other, choose their own partners. None of these choices match Tevye’s idea of suitable husbands. The loss of all traditional values is complete when the Jews are expelled from their village by the tsar’s army. How to buy Fiddler on the Roof on Broadway Tickets? It is easy to buy tickets for Fiddler on the Roof with the link below. I recommend buying tickets online before your trip to New York. Why? A lot of Broadway musicals are very popular and are often sold out. You will save time and money and most importantly you don’t have to stress about finding tickets when you are in New York. Don’t want to see Fiddler on the Roof?